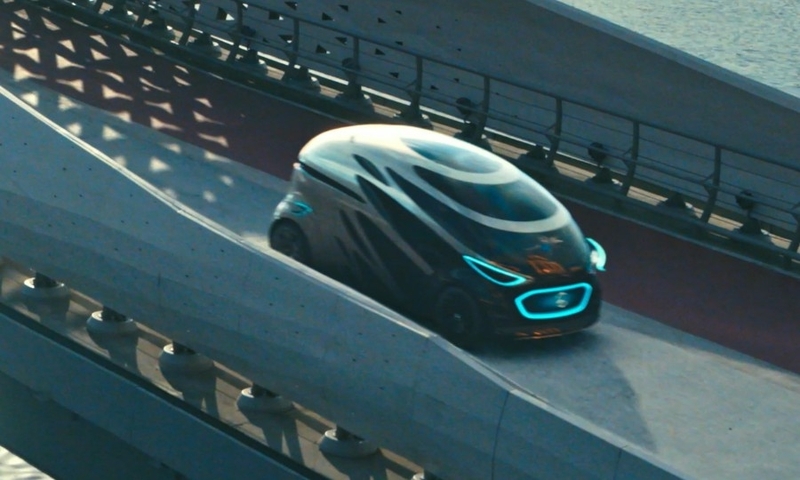 FRANKFURT -- Daimler is developing an autonomous electric vehicle that can switch between a people carrier and a delivery van, as the automaker seeks an edge over rivals like Alphabet's Waymo and Deutsche Post in shaping the future of mobility. 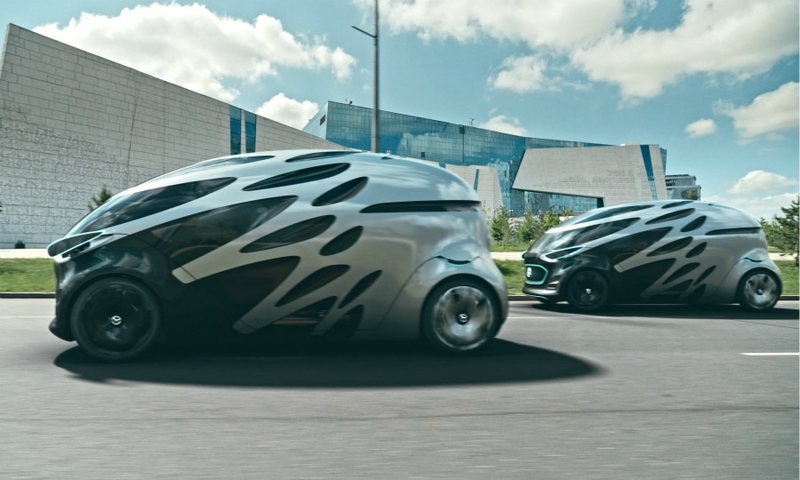 The concept consists of a chassis with two "modules" -- an egg-shaped minibus that can seat as many as 12 and a cargo version -- that can be switched in less than two minutes. 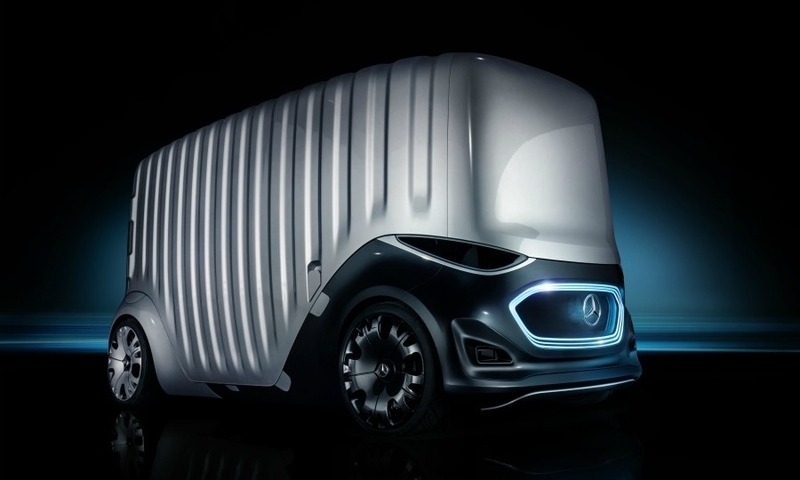 The approach is designed to meet the needs of logistics companies and public-transport operators who are short of drivers and want to use their electric vehicles more efficiently, Daimler said in a press release Monday. 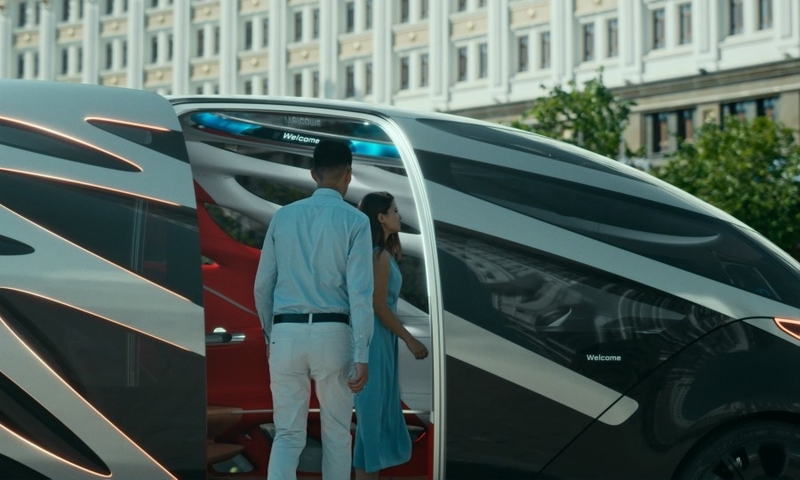 The "Vision Urbanetic" vehicles will be linked to an integrated IT system and able to analyze mobility needs, adapt routes and avoid traffic jams, the company said. The goal is also to cut emissions in polluted city centers. 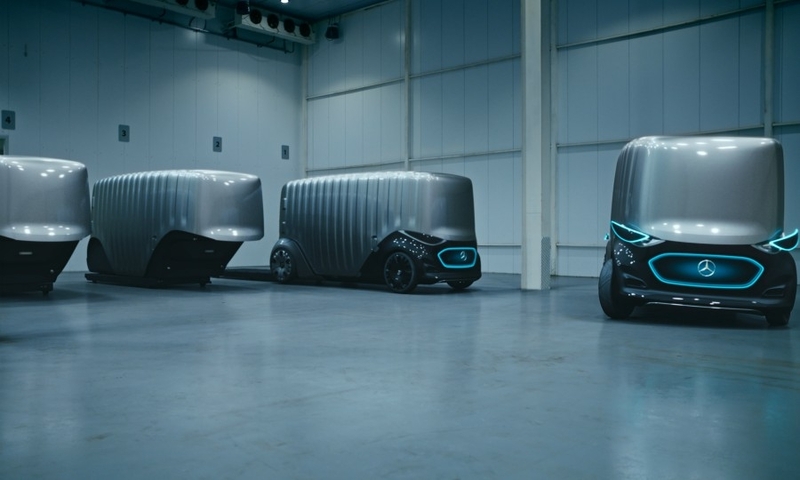 "Our new concept underlines that we don't want to wait and see what happens next, we want to start the phase of autonomous driving quickly," Mercedes vans division head Volker Mornhinweg said at a preview for reporters. 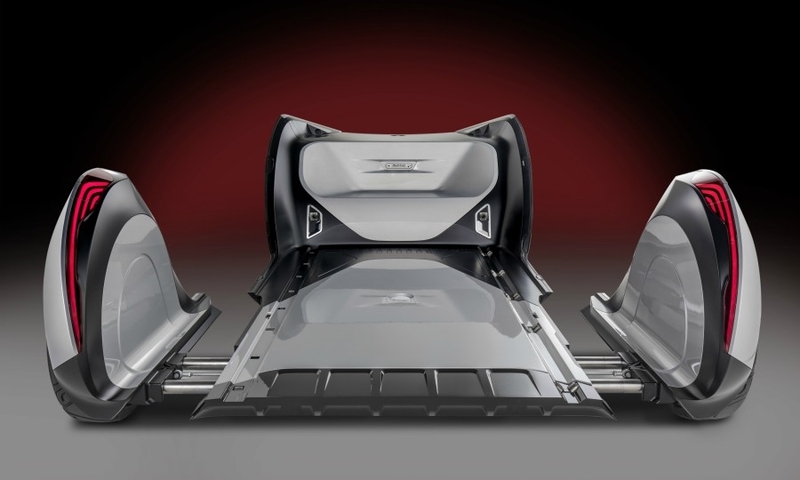 A time line for a potential rollout will be published during the IAA commercial vehicles trade show in Hanover, Germany, starting Sept. 20, he added. 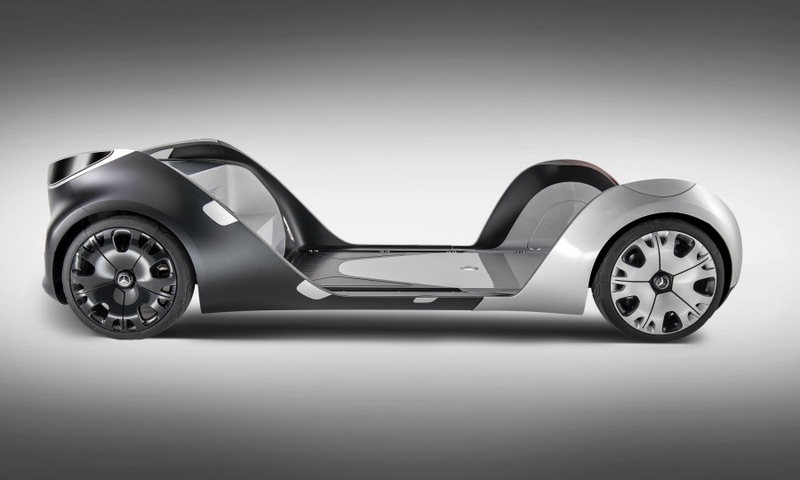 As the technology around autonomous driving advances, automakers are racing to transform themselves from old-school manufacturers into mobility companies. Together with Robert Bosch, the biggest supplier, Daimler will test an autonomous shuttle service in California starting next year with the aim of putting robotaxis on the road in 2023. Competition is fierce. General Motors expects to deploy electric Chevy Bolt robotaxis in large U.S. cities by 2019, while ride-hailing giant Uber has pledged to launch a fleet of self-driving Volvo XC90 SUVs in the same time frame. Daimler's new twin-purpose vehicle adds to its collection of mobility services, including car and van sharing, the Mytaxi ride-hailing service and moovel, an app that helps users find the quickest mode of transportation to their destination. The cargo version would compete with Deutsche Post's StreetScooter. The Bonn-based mail and logistics company plans to operate only battery-powered vans and bicycles and is looking to sell StreetScooter products to customers like bakeries and airports. Ford cooperates with Deutsche Post on electric vans and has said it's ready to help sell the vehicles on a global scale.